Suffolk County Crime Stoppers and Suffolk County Police Third Precinct Crime Section officers are seeking the public’s help to identify and locate two people who stole merchandise from a store in Bay Shore. Bay Shore, NY - October 11th, 2013 - Suffolk County Crime Stoppers and Suffolk County Police Third Precinct Crime Section officers are seeking the public’s help to identify and locate two people who stole merchandise from a store in Bay Shore. 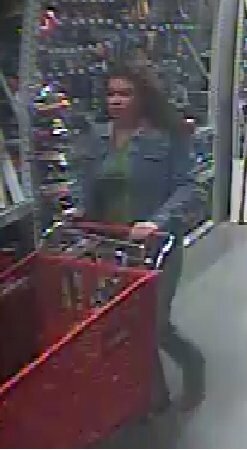 A man and woman loaded two shopping carts with tools at the Lowe’s, located at 800 Sunrise Highway, on March 20, at approximately 6 p.m. They couple pushed the carts out of the store and into the parking lot where they put the items in a vehicle and fled without paying for them. The vehicle is described as a light-colored four-door sedan. The man is described as white or Hispanic, 30-35 years old. He was wearing black pants, a black jacket and a red baseball hat. The woman is described as white or Hispanic, 30-35 years old, with long dark curly hair. She was wearing blue jeans and a blue denim jacket. Subject: LongIsland.com - Your Name sent you Article details of "SCPD Crime Alert: Duo Wanted for Wanted for Petit Larceny in Bay Shore"